The best TVs are often the biggest, and it's getting harder to find small TVs that have the specifications and features you want. Although brands such as Xiaomi, TCL and Vu do offer smart functionality with even their smaller screen TVs, these options are often limited to HD or full-HD resolution panels at best. Small TVs with a 4K panels and all the important features are still relatively rare. This is what makes the TV we're reviewing today unique. The Thomson UD9 40-inch 4K Smart LED TV (40TH1000) is claimed to be the first 40-inch 4K TV in India, and to the best of our knowledge, it is the smallest 4K TV that you can buy easily today. This TV is priced at Rs. 20,999, and has plenty of modern features and specifications, including smart connectivity, HDR, and more. 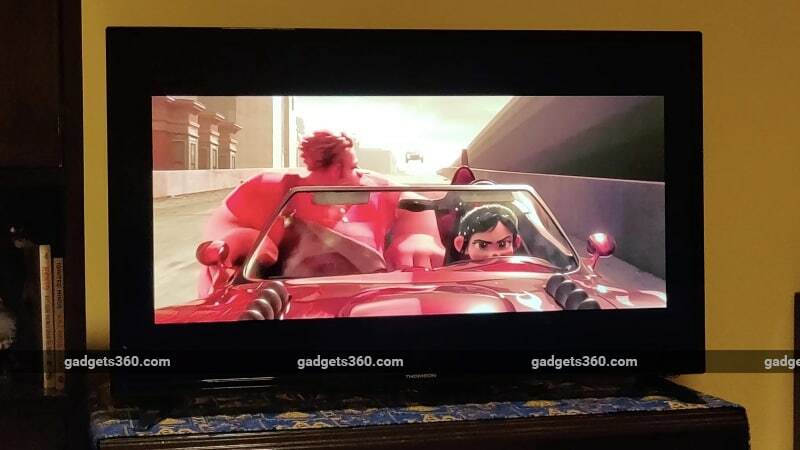 We've had the chance to review this new affordable TV, and here's what we think. A TV is meant to be all about the screen, and in our opinion, even minimalist looks take effort to pull off. You do want your TV to be presentable and durable, and the Thomson 40-inch 4K LED TV checks those boxes. The screen is surrounded by a slim plastic frame and looks decent. You can either table-mount or wall-mount the TV; if you opt for the former, you simply have to attach two legs to the TV, which was easy enough for us to do at home ourselves. This TV is quite thick in the middle, so if you do wall-mount it, the edges will be a fair distance away from the wall. There's a Thomson logo at the bottom, but it's worth pointing out that this brand has been licensed by an Indian company called Super Plastronics Private Limited, which also manufactures Kodak-branded TVs in India. The bottom right corner has the IR receiver for the remote, along with the physical buttons for volume and source selection — yes, TVs still have these for those rare occasions when you can't use your remote. The back has the inputs and outputs, with some facing to the left and others facing downwards. In total, there are three HDMI ports, two USB ports, two sets of composite AV inputs using RCA sockets, one set of audio-out stereo RCA sockets, an Ethernet port, a digital coaxial audio output, and a 3.5mm audio-out socket to connect headphones or speakers, but no component input. Essentially, there are enough inputs and outputs to connect most of your source devices or audio accessories. The Thomson 40-inch 4K Smart LED TV has, as the name suggests, a 4K LED-backlit LCD display with a resolution of 3840x2160 pixels. The screen has a standard refresh rate of 60Hz and supports the HDR10 standard for high dynamic range content. The speakers are rated for 20W of sound output. 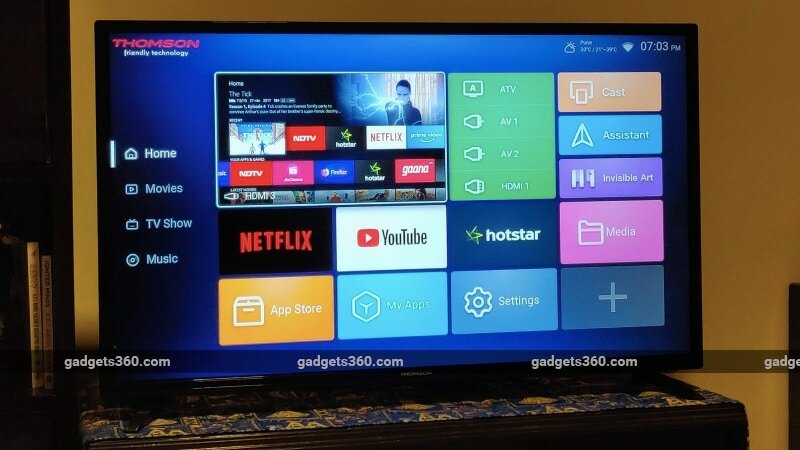 This is also a smart TV, with an unnamed dual-core processor using ARM Cortex-A53 cores, 1GB of RAM, 8GB of internal storage, and an Android 7.0-based custom operating system, although the Flipkart listing for the TV mentioned the Android version as 7.1. Having a 4K resolution at this screen size and price is the TV's biggest draw, and this should appeal to buyers who want a small TV due to room size constraints but don't want to lose out on key features or the ability to watch 4K content. At its price, the Thomson TV has a subjective advantage over the Xiaomi Mi TV 4A (43-inch), which costs Rs. 2,000 more and has just a full-HD screen. 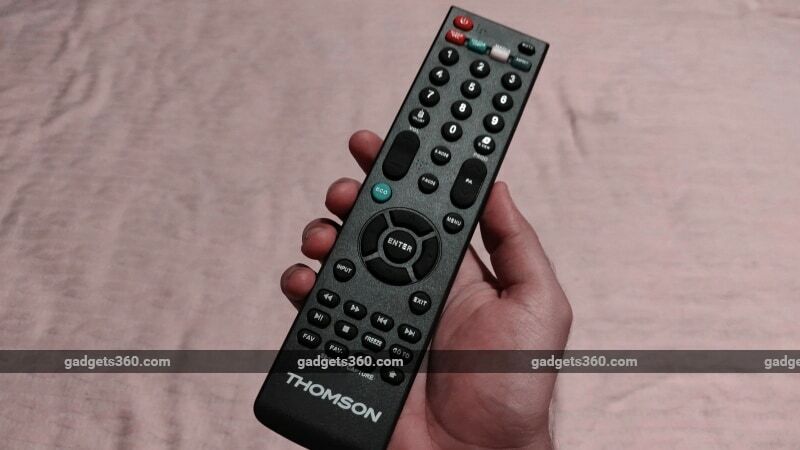 The remote of the Thomson UD9 befits its low price, and looked tacky and cheap in our opinion. The buttons are awkwardly laid out, and the printed markings weren't tidy or presentable at all. However, the buttons for media playback and navigation work fine, and you might eventually get used to the remote to the point of overlooking its aesthetic shortcomings. Like most popular options today, the Thomson UD9 40-inch 4K LED TV is a smart one, and can connect to the Internet and fetch content without the need for any external devices. You can connect over Wi-Fi or through a wired Ethernet connection, and the TV also has built-in casting capabilities. Although this isn't listed in the specifications, we found that the Thomson UD9 TV supports AirPlay, allowing quick and convenient screen mirroring capabilities with iOS and macOS devices. We found this extremely useful during our time with the TV. The interface is like those of many other smart TVs, using tiles to show apps and content, as well as connected source devices. We found the user interface to be sluggish, buggy, and difficult to use for all but a couple of use cases, which we've elaborated on below. Some apps such as Netflix and YouTube are pre-installed, while others such as Hotstar, Amazon Prime Video, Yupp TV, and Hooq can be downloaded through the in-built app store. The interface also recommends content, most of which was videos from YouTube, in our experience. We saw recommendations for movie trailers and Indian soap operas which weren't relevant to us, and Thomson isn't clear about whether these videos are sponsored. Clicking on any of these takes you into the relevant app and begins playing the content. Of the popular apps that we tried, only the YouTube and Hotstar ones were decent, and worked well with most content. The YouTube app does support 4K video playback, but the TV doesn't seem to have the ability to properly process so much data. The video would begin to stream, but with lots of lag and hold-ups that weren't due to buffering. On a couple of occasions, 4K videos also caused the app to crash. Streaming YouTube video at resolutions lower than 4K in the app worked fine for the most part. The Netflix and Amazon Prime Video apps seem like smartphone apps ported to the big screen, and were difficult to use with the remote since they were essentially developed for touch controls. We often made mistakes and couldn't figure out a convenient way to rewind or fast-forward content. Another odd and hilarious aspect to this TV is that when we signed in to our Google account on the TV, we promptly got an email from Google welcoming us to our new Nexus 6 — a four-year-old smartphone that this TV definitely is not. The Settings menu is fairly simple, and there's an odd but somewhat useful option to manually disable 4K and HDR content playback. It's worth switching off if you don't intend to use these, and does to a small extent improve performance with full-HD content. There are also apps called ‘Invisible Art' and ‘Assistant' — the former shows a range of images as screensavers on the TV, while the latter is a diagnostic tool showing you details such as memory usage and network speed. The Thomson UD9 40-inch 4K Smart LED TV has smart connectivity options, but we felt that we got the best performance we could from this TV when using it purely as a screen and allowing other devices to handle media decoding. Even as a screen, the Thomson UD9 has a fair number of shortcomings, and performance largely depends on the quality of your source content. For our review, we used the TV's smart platform, videos stored on a hard drive which was connected to the TV's USB port, and an Amazon Fire TV Stick 4K. Resolutions ranged from standard definition to 4K across the content we viewed. As was the case with 4K YouTube videos streamed through the TV's smart platform, the TV was also barely able to process 4K HDR video played from the hard drive. The video lagged on occasion, and codec support issues often led to only visuals with no audio. The TV was so sluggish that it was difficult to rewind or fast forward 4K video. However, with full-HD or lower resolution videos, we didn't face much trouble. Switching to the Amazon Fire TV Stick 4K significantly improved the viewing experience, largely because processing was shifted to the much more capable streaming device, with the TV acting purely as a screen. We watched a range of content including Amazon Prime Video original The Tick in 4K HDR and Spiderman: Into The Spiderverse in full-HD. 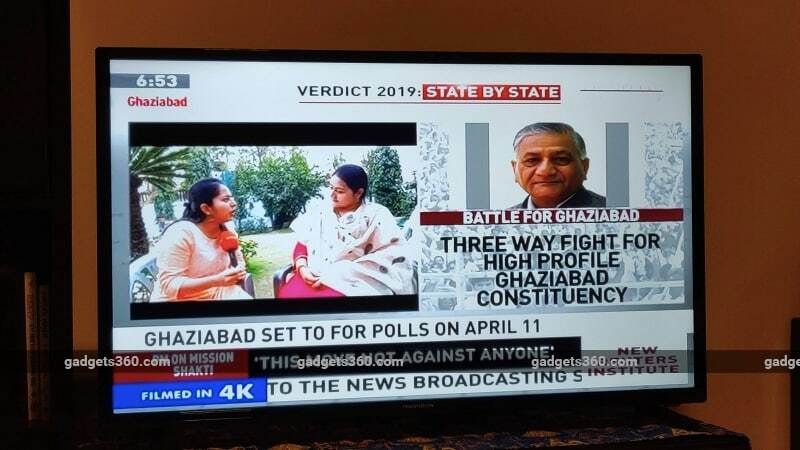 We also streamed live TV programming including NDTV news and IPL matches on Hotstar at various resolutions ranging from standard definition to full-HD. 4K and full-HD content was sharp on the Thomson TV, and motion handling was clean as well. However, the small size of the screen also meant that there was very little perceivable difference between 4K and full-HD content. The impact of having four times as many pixels was only discernible at about 3-4 feet away. At larger distances, the impact reduced quickly, and we could barely distinguish a good full-HD stream from a 4K one. That said, on the whole, the TV was sharp and watchable, with good high-resolution content. While we liked the sharpness and motion handling with high-resolution content, colours were an issue. The Thomson UD9 40-inch 4K Smart LED TV largely got colours wrong for us, and HDR content often served to amplify and brighten colours that were already inaccurate, rather than offer a more realistic picture. Reds often appeared orange, skin tones also had an orange hue to them, and some bright colours appeared so bright that they seemed nearly fluorescent. Black levels on the Thomson TV were quite poor, usually appearing as dark shades of grey rather than black. This had a significant impact on dark scenes in movies and TV shows such as Nightflyers, which makes strong use of darkness to tell its story. It generally felt as though a white tint had been added to the screen, and this also negatively affected contrast levels. The sharpness of the TV and its ability to handle motion are its best attributes, but these are almost entirely negated when watching standard definition or even 720p content. The TV's upscaling abilities with HD and SD content were poor, and we found SD content too grainy and patchy to watch for long. Some of these flaws might be bearable with casual watching such as news channels, but we found it difficult on the whole to watch TV shows and movies at resolutions lower than full-HD. Sound performance on the Thomson UD9 was much poorer than the usual inadequate TV speakers we have often ranted about. The sound came across as dull, raw, and muddy, and we on occasion couldn't properly understand dialogue being spoken softly. The volume can get quite loud, but music, background scores, action scenes and dialogue were so weak that we particularly felt the need for a soundbar with this TV. The Thomson UD9 40-inch 4K Smart LED TV was, on paper, a clever product because of its combination of specifications and size. There aren't many small 4K TVs, and only now are manufacturers starting to realise that people might not necessarily want a TV as big as 55 inches or more, but probably do want a 4K screen, HDR, and smart connectivity. 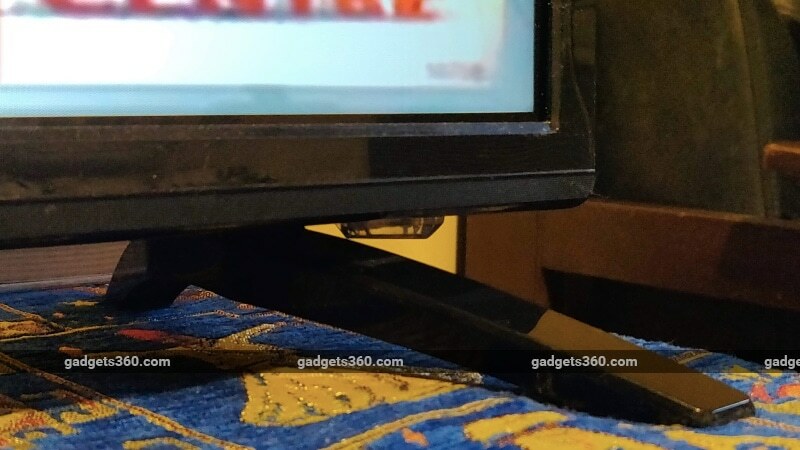 We believe that this is the smallest 4K TV you can buy in India today, and for that reason it grabbed our attention. However, performance was largely a letdown. Colour reproduction is poor, the smart interface is buggy and slow, sound is bad, and upscaling of low-resolution content is sub-par. When used purely as a screen with a streaming device, set-top box and soundbar, you could make do with this TV. However, that would drive the cost up, and you'll still only have an acceptable experience with 4K or at least full-HD content. At Rs. 20,999, the Thomson UD9 is among the most affordable 4K TVs you can buy right now. In this price range, we'd advise you to consider options, unless you're absolutely sure you want a 4K TV and have the means to access good 4K content. product Thomson UD9 ticks all the boxes when it comes to specifications and features, but how does this 40-inch TV perform? Find out in our review.